In 1991 Kutcha was coerced into joining Koori community rock band Watbalimba and later Blackfire, as their lead vocalist and there has been no turning back. Touring both locally and internationally, Blackfire released two albums, A Time To Dream (1994) & Nightvision(1997), and supported Carlos Santana on his (1996) Australian tour. Years later in 2002 Kutcha committed himself to his music and released his first solo CD, Cooinda, with production credits going to personal friends Paul Hester, Paul Kelly and David Bridie. 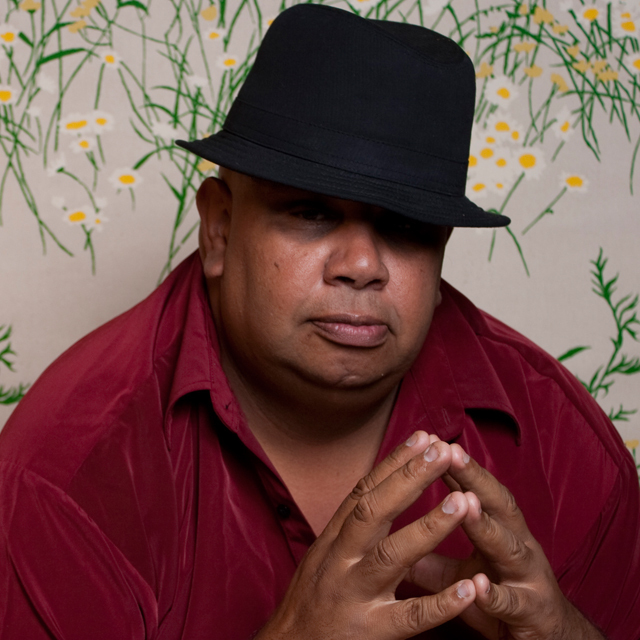 Cooinda related Kutcha’s life journey with songs covering a range of issues from his forceful removal from his family as a child to songs dedicated to both his mother and late father, racism and beating alcoholism. “It was such a treat bringing my instruments in to the studio and playing behind Kutcha’s beautiful, rich voice. Not hard to be inspired when you’re listening to that in your headphones! There were some really moving, socially conscious songs coming at me and it was an honor to try and support what he is saying.” Jeff Lang. He has worked through his music, to tell people about himself and share his unique journey, one that is also the journey of all Australians. What Kutcha shares with people is a connection, a belonging. His music and stories are the songs of his journey, his people’s journey, and these are his gift to connect with and inspire others. BLAK & BLU – Has a strong blues beat and that uplifting sound that is sure to sooth your soul when you get the BLU’s.